The BJP government, under the leadership of the Prime Minister Narendra Modi, has already started work on the Pradhan Mantri Awas Yojana. It is popularly known as the PMAY. Under the scheme, the central government aims at providing the homeless and poor people of the country with affordable permanent homes. The cost of these homes has been kept moderate so that all can afford them. A new amendment to the scheme states that each beneficiary will be given a passbook by the government to record the scheme related proceedings. Ministry of Housing and Urban Affairs – The task of monitoring the PMAY is the responsibility of the Ministry of Housing and Urban Affairs. Thus, the passbooks will be issued to the beneficiaries by the officials of this department. A passbook for every beneficiary – According to the new addition to the scheme guidelines, each person who has applied to acquire a home under the scheme, will be handed a passbook by the government department. Each selected applicant will get one passbook. Providing scheme related information – All the details of the scheme will be provided in the passbook. The rate of interest, cost of the homes, subsidy rate and all related details will be recorded in this passbook. Recoding the details of the beneficiary – Apart from recording the details of the scheme, the passbook will also contain the particulars of the beneficiary as well. The name, Aadhar code, address, Voter identification information. Apart from this, all family related details and bank account particulars will also be available in the passbook. Details of the land – It is important to gather information about the land on which the building will be erected. The passbook will contain these particulars as well. Keeping a record of the grants given – The government has decided to provide a monetary assistance of Rs. 1 to Rs. 1.5 lakhs. The amount will be provided to those who have less than 3 lakhs in savings account. Records of the installments made – All payments, made by the beneficiary, in the form of installments will also be recorded in the passbook. It will assist the government as well as the beneficiaries in keeping track of progress. Why is the passbook needed? Prevention of forgery – There are many fake agencies, which are using the name of this government scheme and trying to rob the people of their money. The issuance of the passbook has been done for putting an end to this problem. Prevention of misuse by the beneficiaries – There are many people who take the monetary grant from the government and make inappropriate use of the funds. The passbook will also allow the authority in keeping track of how the beneficiaries are making use of the grant. The passbook will make matters easy for both parties. 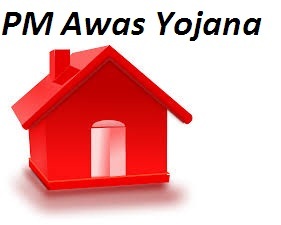 The government has already started operations for the issuance of the Pradhan Mantri Awas Yojana pass books.